We’re a supplier of both face-fixed and concealed hardware for tilt & turn uPVC, timber and aluminium windows. Our tilt & turn gearing boasts many design features to help simplify the fabrication and installation of your windows. The hardware components are supplied pre-assembled and are easy to adjust. The G-U concealed tilt & turn gearing system has been designed to fully hide the pivot rests and stay bearings for a sleek, minimalistic look of the tilt & turn window. Suitable for uPVC, aluminium and timber applications, the tilt & turn gearing can accommodate any sash weight up to 130 kg. With no visible hardware components, and no drilling required, the tilt & turn gearing enhances the appearance of your window to satisfy even the most stringent design requirements. Assembly-friendly and easily adjustable, the G-U hinge side UNI-JET D face-fixed gearing is cohesively designed and manufactured to the highest standards. Suitable for sash weights of up to 150 kg, the face-fixed hardware is available in corner-hinge or drill-in hinge versions and features convenient 3D adjustment. Cover caps available in a large selection of colours. 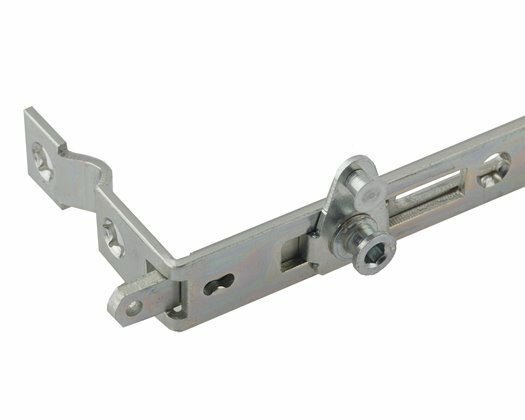 Suitable for all uPVC tilt & turn window systems, the Quantum MK 2 handle can accommodate both tilt first and turn first applications. 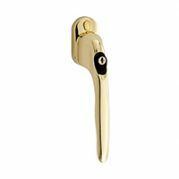 This handle features an attractive design and comes with a 10 year guarantee. Available in lockable and non-lockable options.